Comments sections should be included on a "Single Post" template page. Here you'll find all of the steps for comments to load on a page. 2. 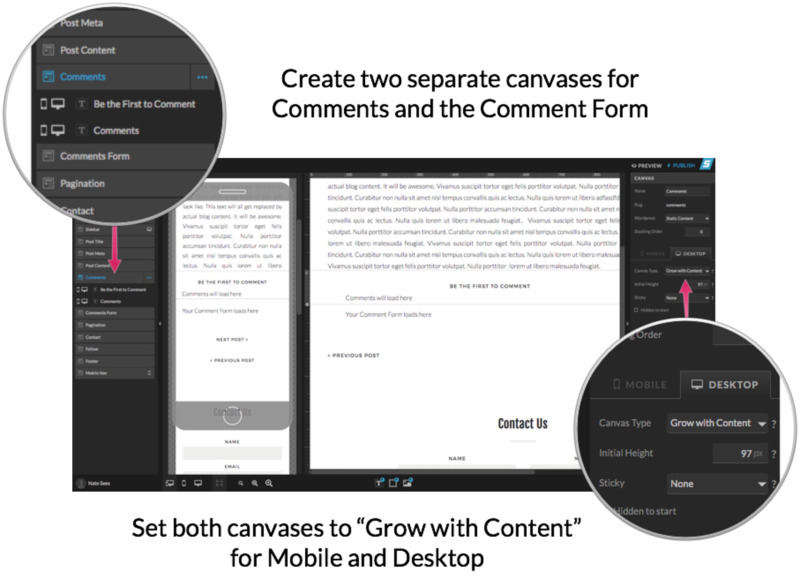 Add two new canvases from the page “…” menu and name them “Comments” and “Comment Form”. 3. Drag them up/down into the order you would like them in the page structure. 5. Add a updating Comments Count text box: If you would like a text field that updates with the number of comments like “11 Comments” add a text box in the style you would like it to appear. Go to the “Text Field” settings on the right sidebar and choose WordPress: Comment Link. 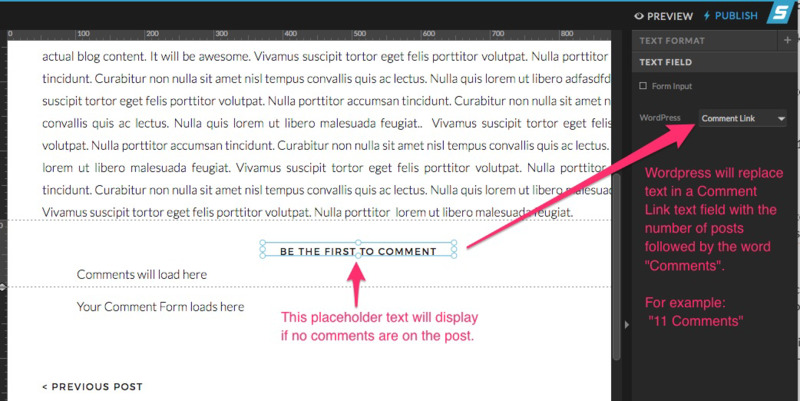 Type a placeholder message into the text box and position it in the place you want it to display. Tip: Place this above where your comments will display. 6. 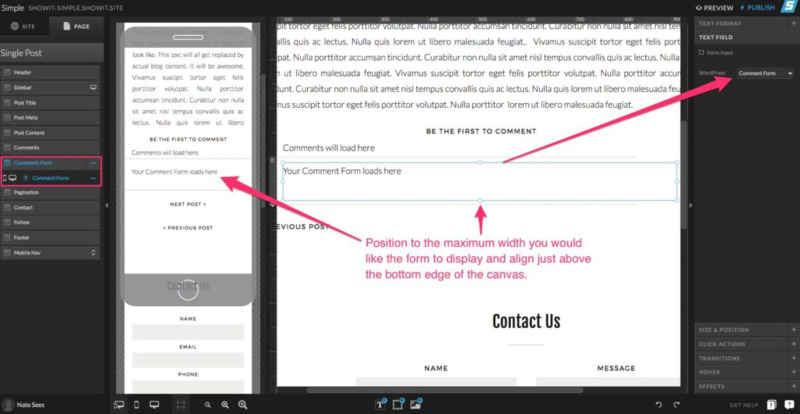 Adding Comments: Add a paragraph style text box to the Comments canvas. Set the Text Field setting to WordPress: Post Comments. 7. Adding Comments Form: Add a paragraph text box to the Comments Form canvas and position it similarly to the Comments you just completed. 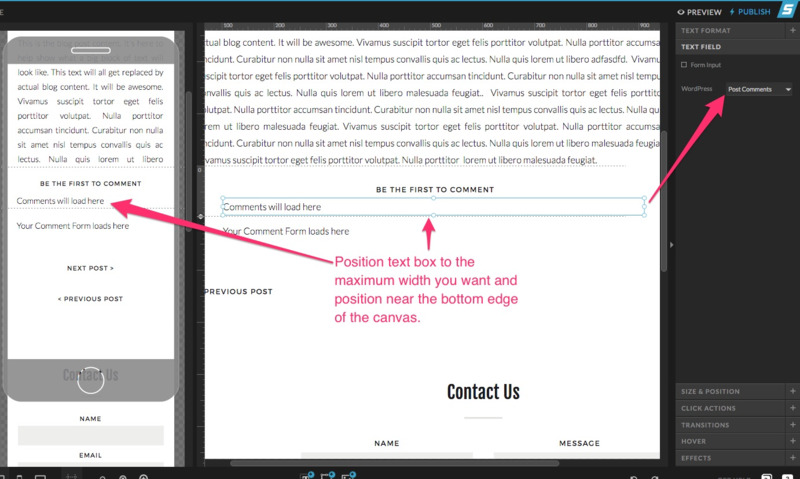 Set the Text Field setting to WordPress: Comments Form. 8. You’re set to publish!